Protecting a young child’s teeth from cavities and decay is the complete responsibility of the parents. From the moment that the first baby teeth begin to erupt inside a baby’s mouth, they require daily care. 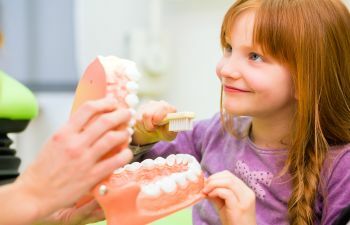 In addition to daily brushing and attention, the American Dental Association (ADA) and the American Academy of Pediatrics (AAP) both recommend that parents take their children to the dentist by the time they reach their first birthday. Allow children to become comfortable with the dentist. Children who are brought into the dentist from a very young age are much less likely to have fear associated with their dental visits. 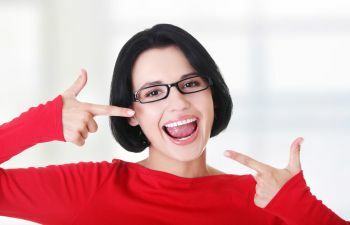 They understand that visiting the dentist is a regular part of life, and they are comfortable with their dental appointments. 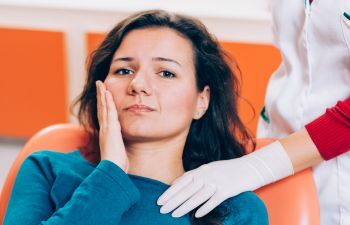 Because millions of Americans suffer from dental anxiety, the simple act of early introduction can help to ward off future anxieties associated with the dentist. Educate parents about proper oral health care. Many parents unintentionally neglect their young children’s teeth simply because there are so few of them. It is important for parents to understand that as soon as the very first baby tooth erupts inside the mouth, damaging plaque will be present. Brushing the teeth (or tooth!) and gums is just as important for young children as it is for adults. By making it a habit to brush your children’s teeth from the very start, you are setting them up for optimal oral health. 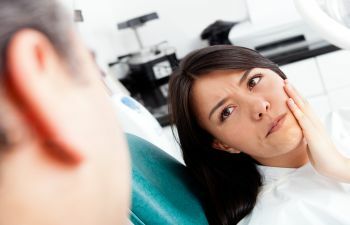 Discuss bad oral habits and how to break them. Pacifiers, fingers, thumbs, and bottles can all offer a sense of comfort to young babies. However, continued use of any of these can cause damage to the developing mouth and teeth. Sucking on a pacifier, thumb, or fingers for an extended period of time will begin to impair the mouth because the constant pressure from sucking will alter the shape of children’s pliable jaws. Breaking the habit of sucking from a child’s first birthday is important to the proper development of the jaws and teeth. It is also important that once the teeth erupt from the mouth babies are not allowed to fall asleep at the breast or with a bottle of milk/formula. Breast milk, regular milk, and formula will all coat the teeth, and the sugars from the milk or formula will begin to attack the teeth, making them vulnerable to early cavities and decay. Identify the link between diet and oral health. Young children cannot choose healthy food and drink options for themselves. Young children should never eat or drink juice, soda, sweet tea, or candy. These are all laden with sugars and acids that will eat away at the enamel of the teeth. Parents need to be aware of the direct link between diet and oral health so that they can make the best options for their young children. At Muccioli Dental, we want to partner with parents in order to promote optimal oral health in their children. We welcome patients of all ages,and we would be honored to have your child join our practice from the earliest age. Contact us today to schedule an appointment.